Archive for the ‘Personalized Glassware’ Category. There’s nothing like hosting a winter party to bring the warmth of friendship and love into your home. With the fire ablaze, comforting foods on the stove and the camaraderie of your guests warming your soul, the winter holidays provide plenty of reminders of what’s important in life. These events deserve personalization so that they reflect your own joyful intentions as a host. 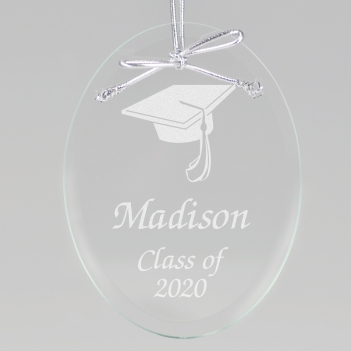 Our personalized accessories feature holiday themes and exclusive lettering styles. Party napkins and guest towels boast 3-ply paper that offers a beautiful sheen and stands up to use. 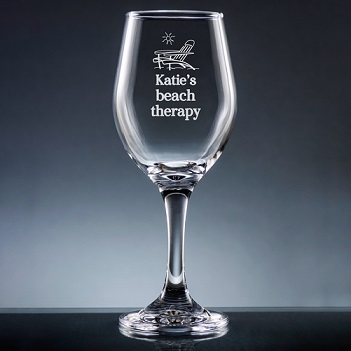 Our personalized glassware is laser engraved for staying power, and dishwasher safe to boot. Bamboo cutting boards are eco-friendly, sturdy and attractive. Coasters, made from cork or class, protect your table and counter surfaces beautifully. Here are four of our favorite winter party accessories. Order now, and you’ll have them within a few days. Shipping is free and fast, so you’ll get them in plenty of time for the festivities. 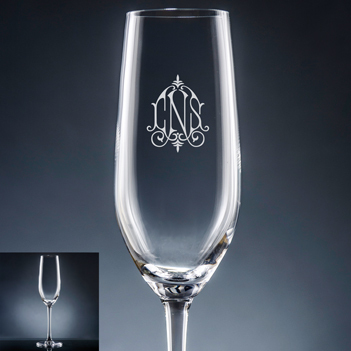 Whether you are sipping wine by the fire or pouring a shot of schnapps to put some heat in your belly, use elegant engraved glassware personalized with your monogram, like the Altamira Monogram Wineglass . 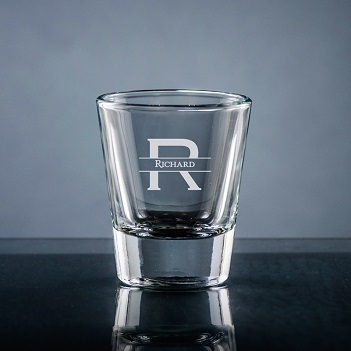 Or try the Fortaleza Shot Glass with a handsome initial and optional last name. 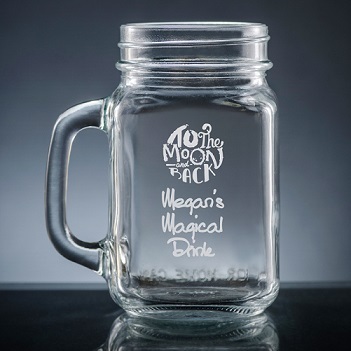 The Iguala Mason Jar is perfect for mulled cider or your favorite microbrew. Give it a special message for the occasion. See the whole engraved glassware collection here. Coming home for Christmas dinner to celebrate family style. Gathering for the annual holiday office party. 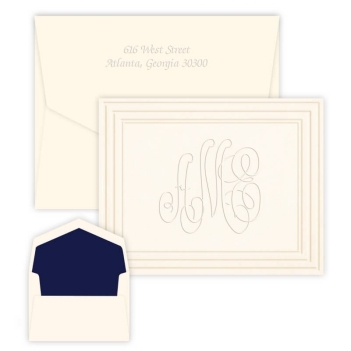 There are as many ways to customize our personalized napkins and guest towels as there are reasons to gather together. 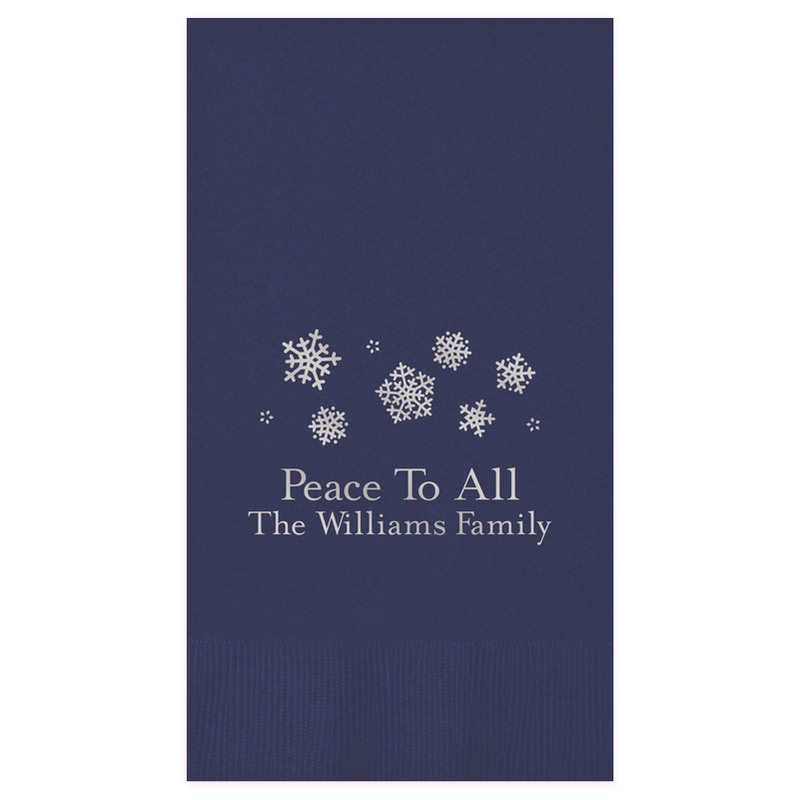 Personalize the Yuletide Foil-Pressed Guest Towels with up to three lines of text in your choice of foil ink color, typography and paper color. 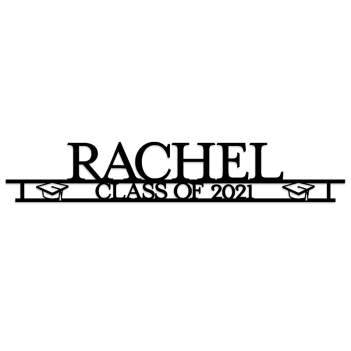 Motifs include: snowman, Rudolf the red-nosed reindeer, ho-ho-ho and snowflakes. Or try the embossed Christmas Napkins which come in an array of paper colors to match any decor. See the whole holiday napkin & guest towel collection here. 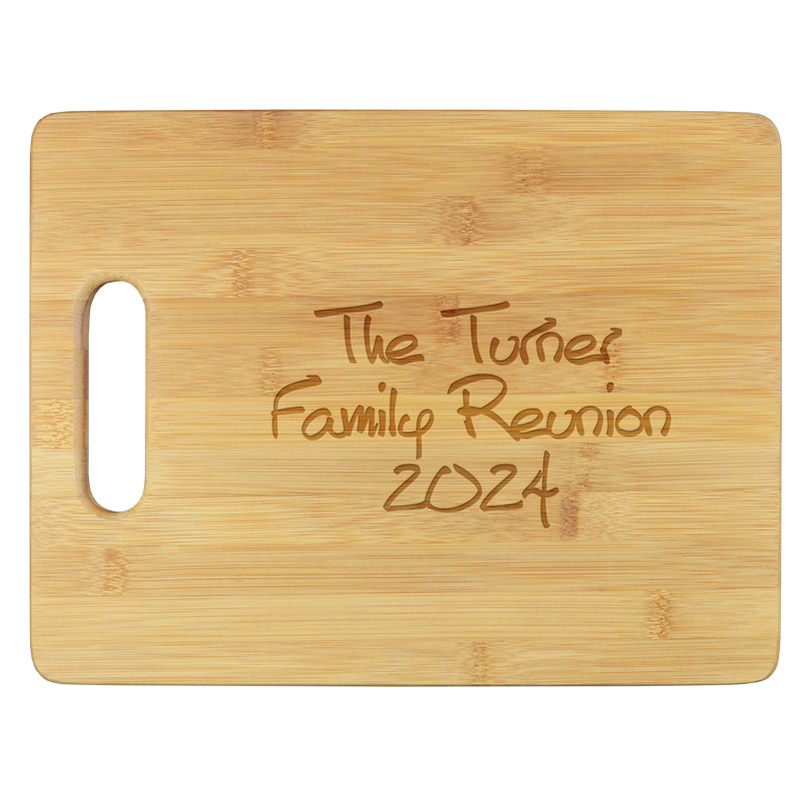 Our engraved, bamboo cutting boards have so many uses for holiday entertaining. In particular, the Desmond Cutting Board gives you plenty of room to personalize a holiday message in 3 lines of text. Use a personalized cutting board as an elegant cheese board for your appetizer course. Measuring 8.75 by 11.5 inches, there’s plenty of room for a selection of cheeses. Or serve up freshly baked muffins or quick breads for a warm treat on Christmas morning. And of course, Santa and his reindeer would love to see a tray of cookies and carrots waiting for them on Christmas Eve. See the whole cutting board collection here. 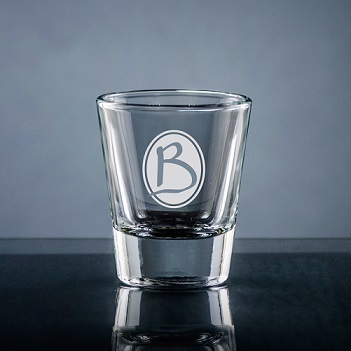 The Bronson Monogram Coaster in cork, featuring our classic monogram, one of six choices. 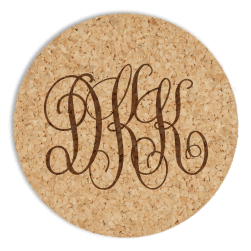 Our cork and glass coasters are like earrings for your tables. Coasters dress up a coffee table or counter, breaking up the large plain space with a little sparkle or pizzazz. 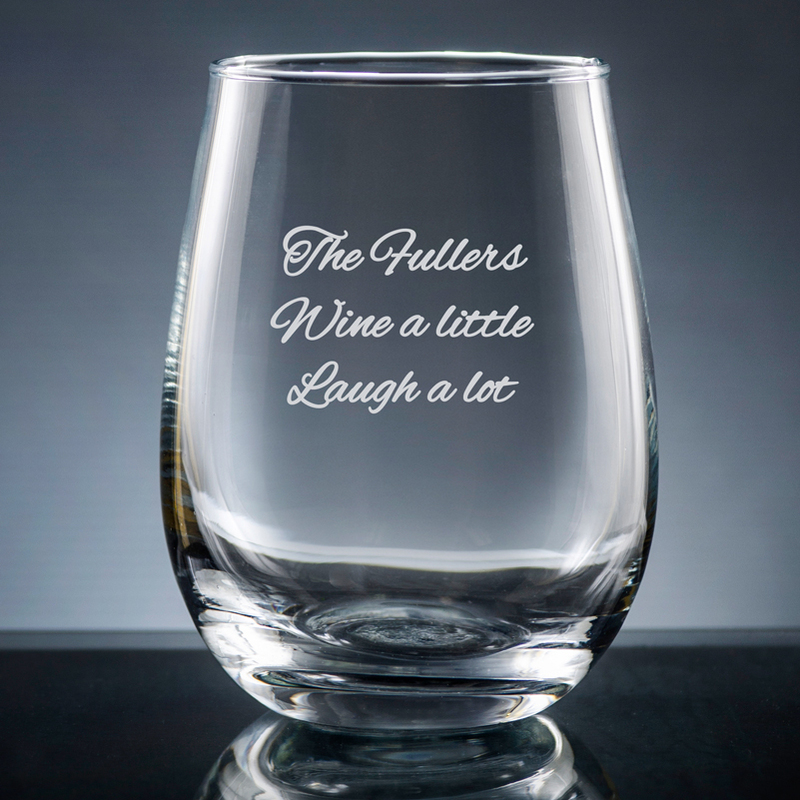 Not to mention, coasters help protect your surfaces and invite your guests to put down their drinks and relax. 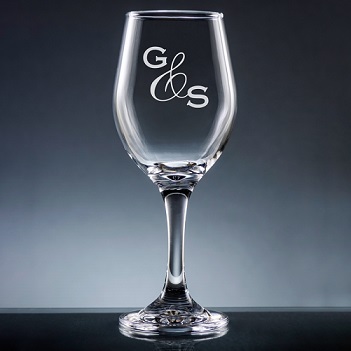 Giftsin24 offers more than 30 styles to choose from, including the Bronson Monogram, offering six attractive lettering styles in cork or glass; the Reynosa Chevron Monogram in cork or glass; the Desmond, offering three lines of text in cork or glass; and the Wheat Leaf Initial, in cork or glass. See the whole coaster collection here. 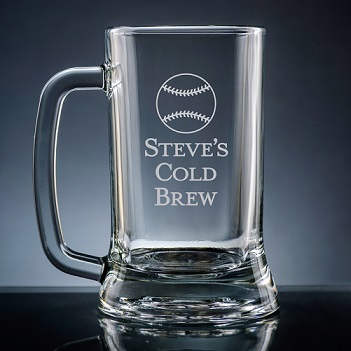 As you can see, we offer a range of attractive accessories to warm up your winter party. 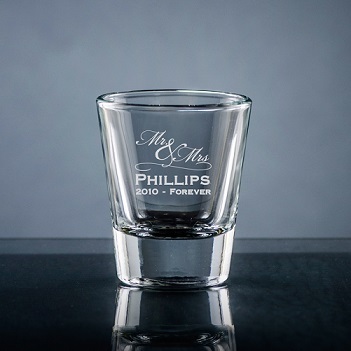 You will feel terrific pulling out these accessories during your preparations. 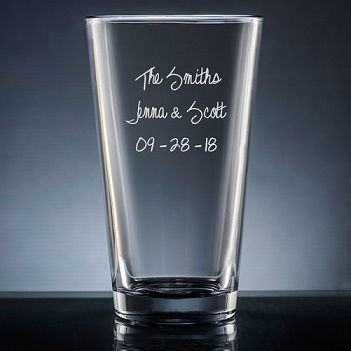 Our personalized cutting boards, coasters, glassware and napkins will give your home some polish and shine, and help your guests feel right at home.